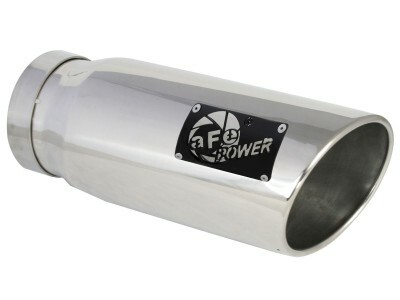 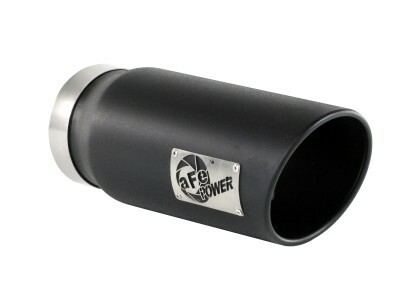 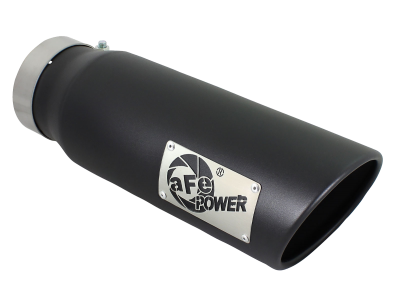 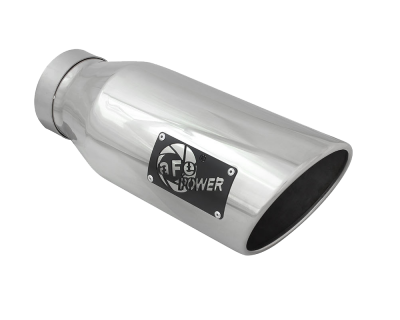 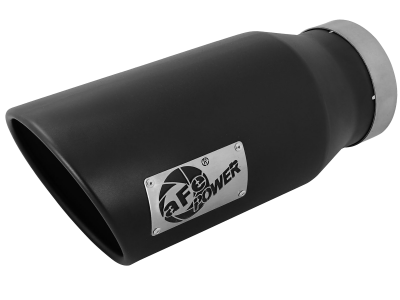 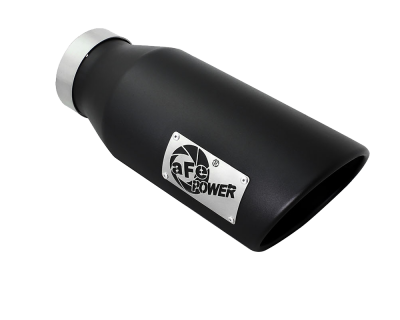 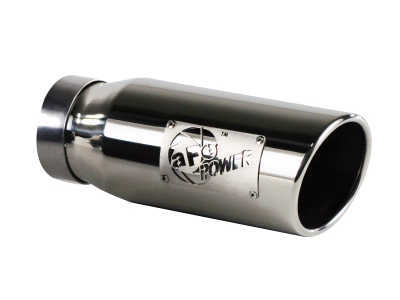 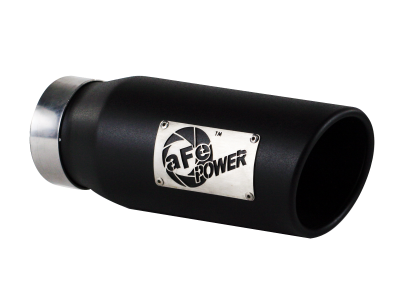 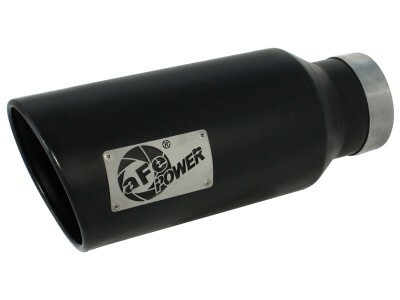 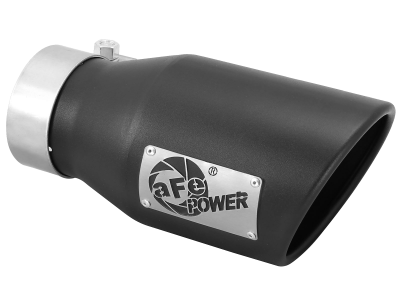 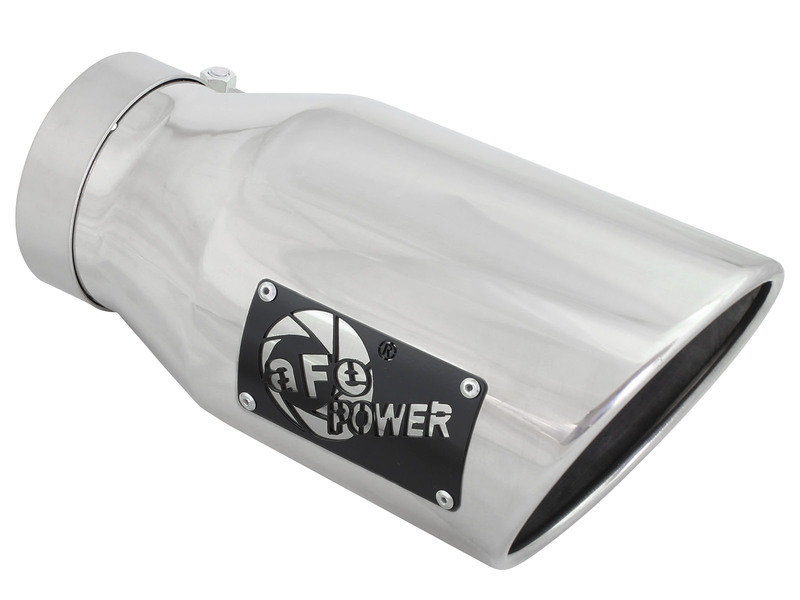 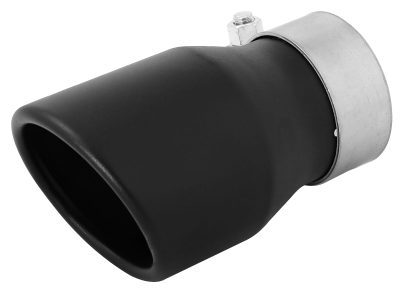 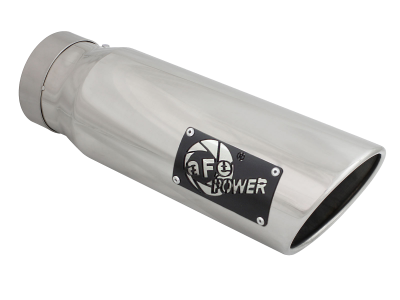 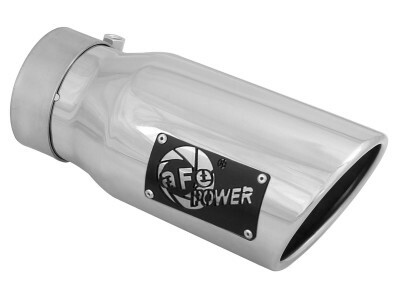 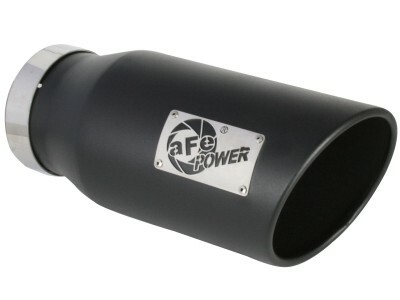 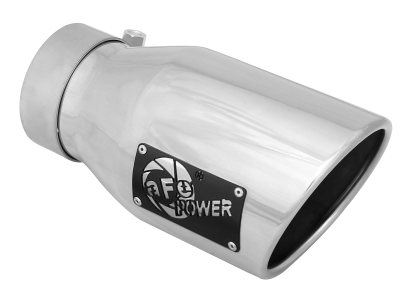 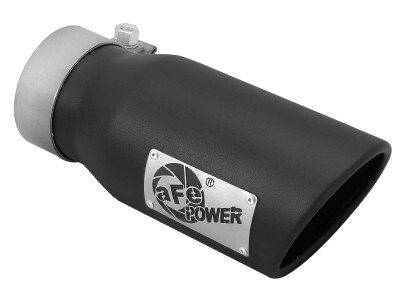 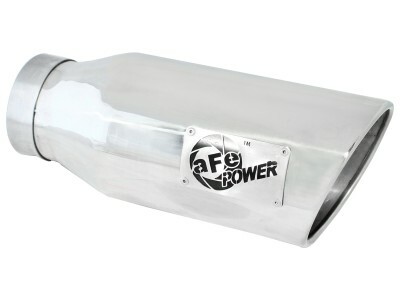 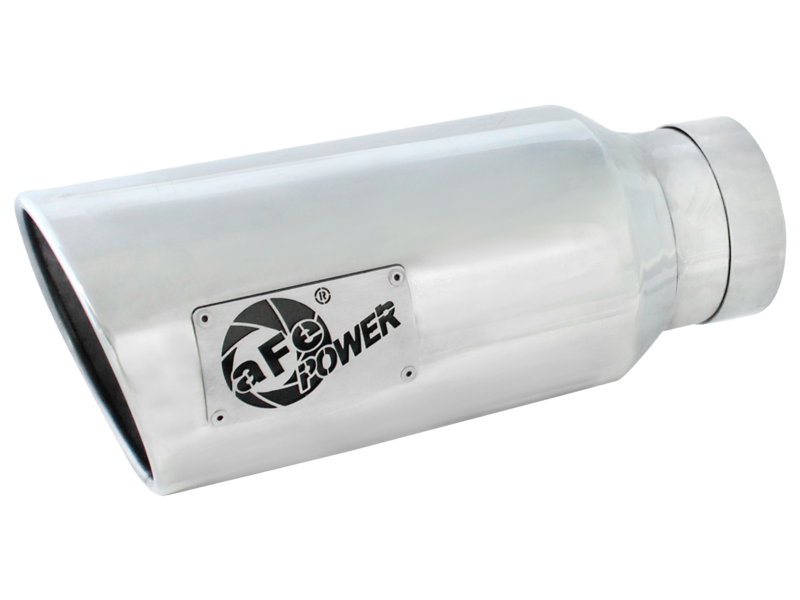 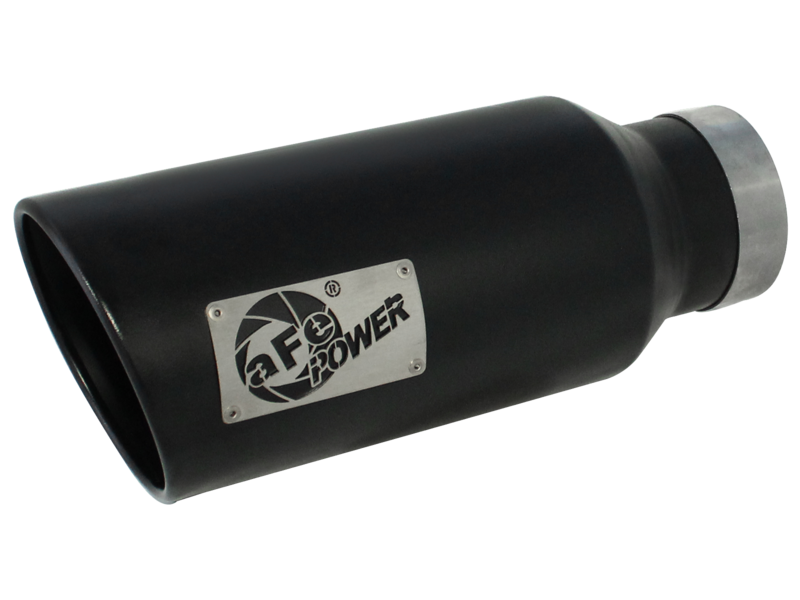 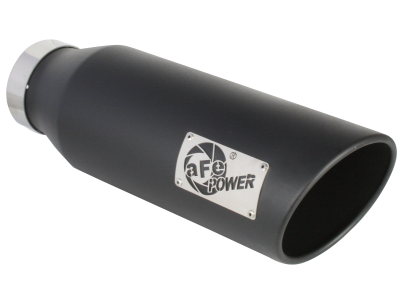 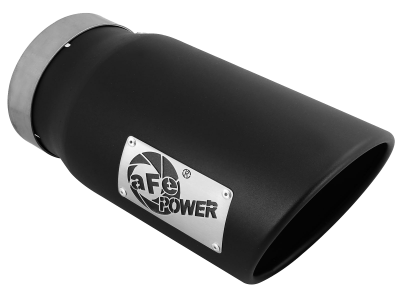 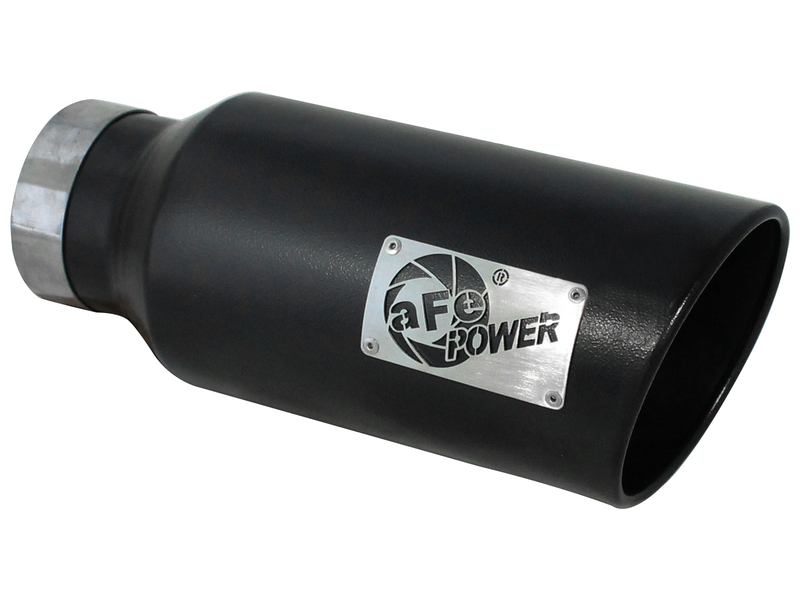 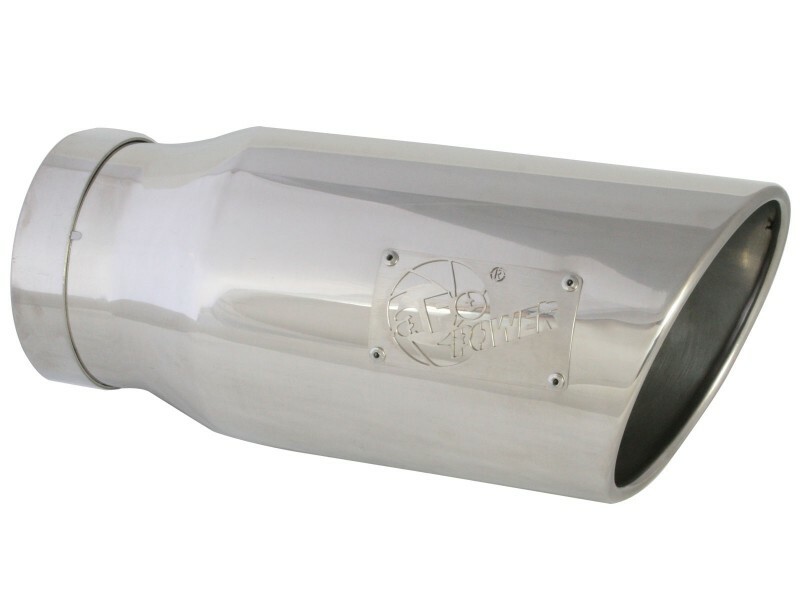 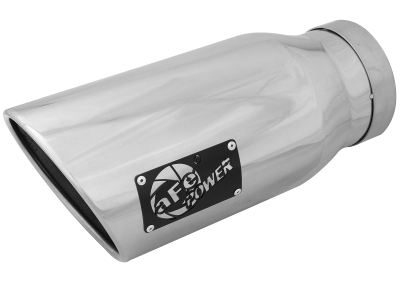 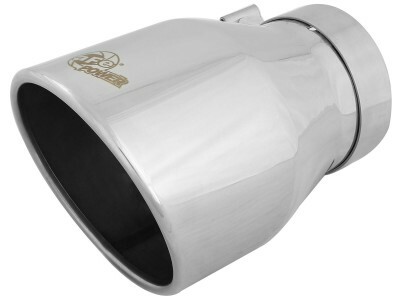 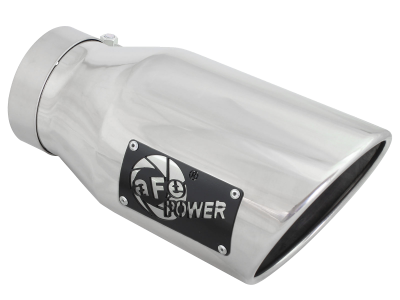 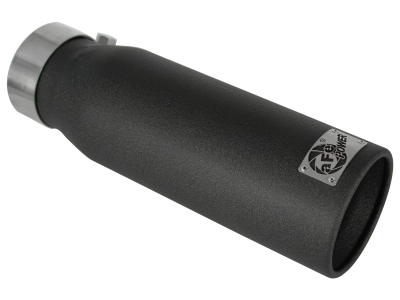 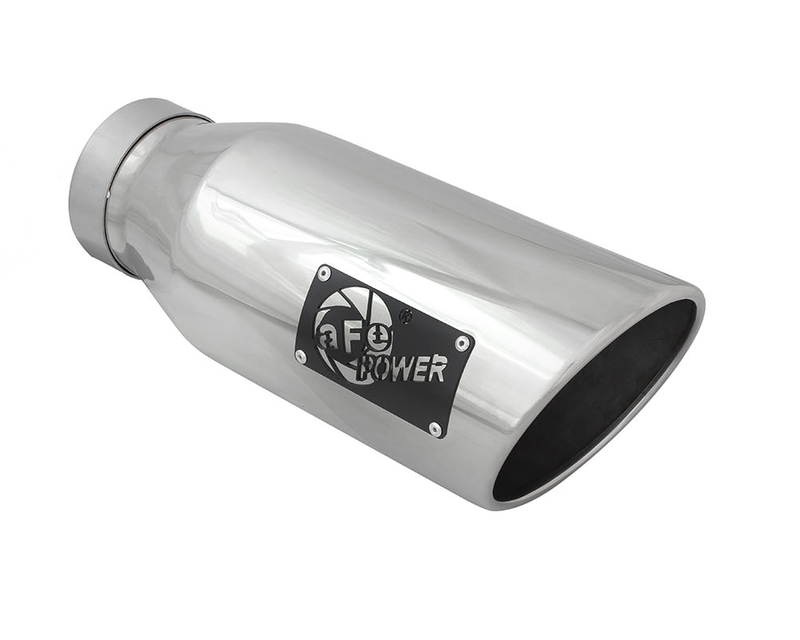 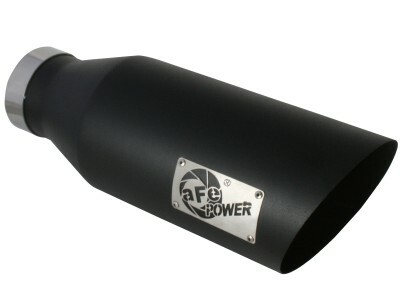 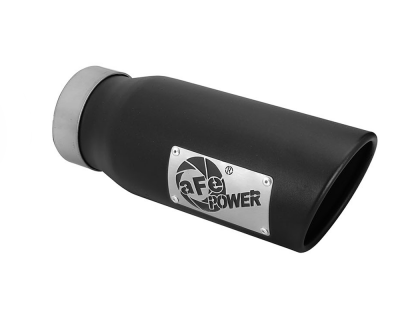 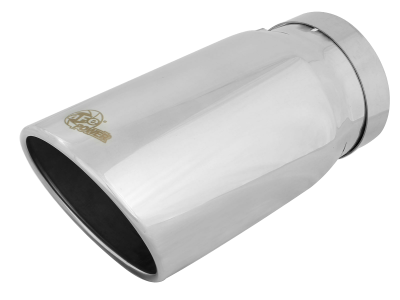 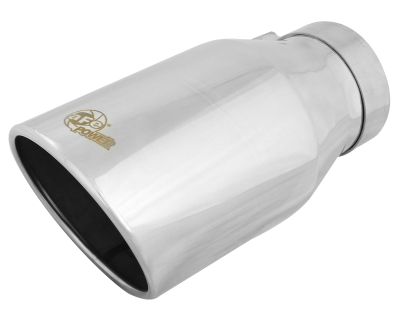 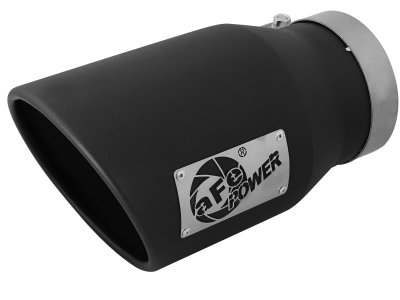 aFe POWER has a variety of exhaust tips designed to enhance the look of your ride. 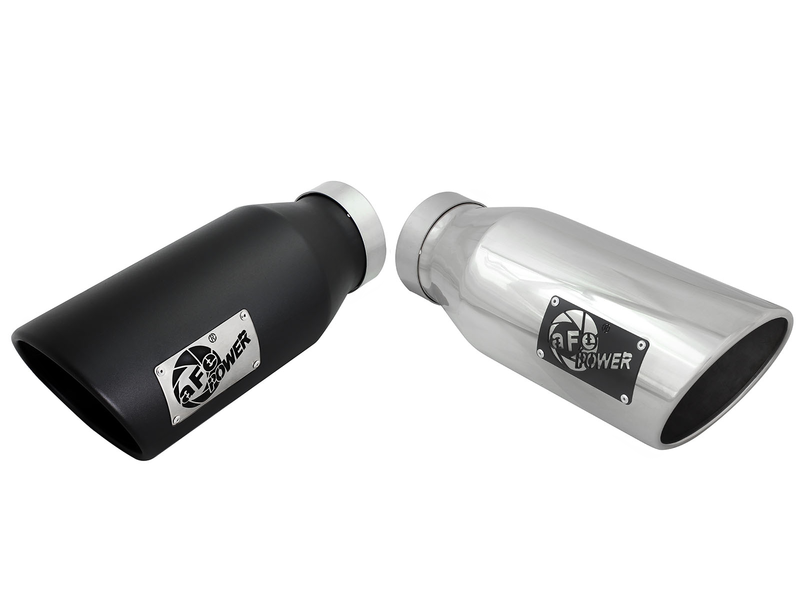 Two different finishes are available for you to choose from, either a matte black finish for a stealth look, or a polished finish for a nice elegant style. 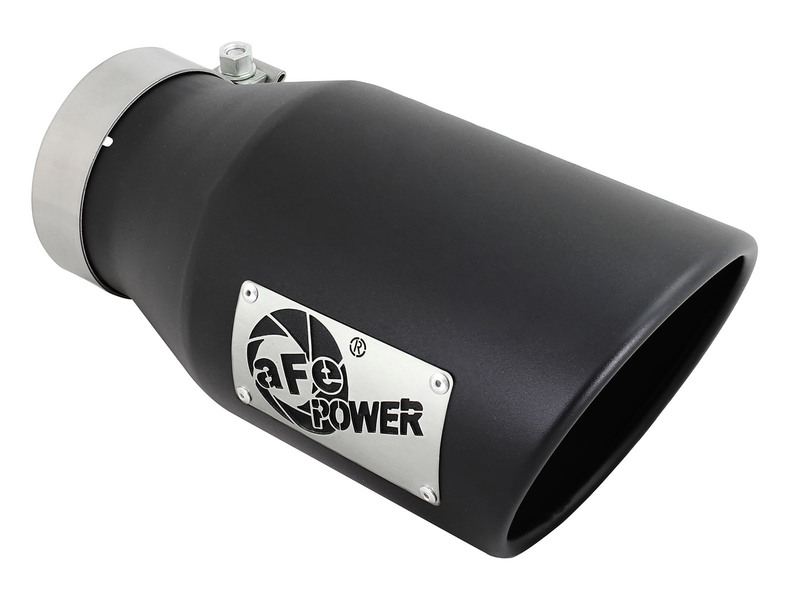 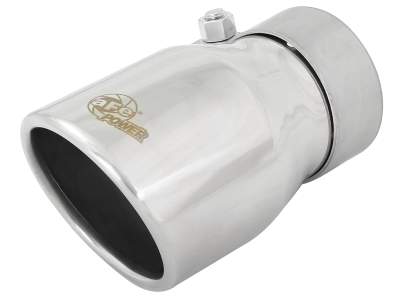 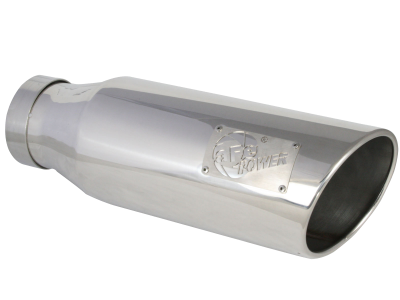 Each exhaust tip is sold in pairs (if applicable) and come single walled, angled cut rolled tip with our laser cut aFe POWER logo plates riveted to add an aggressive style. 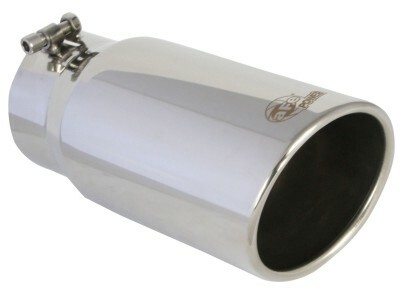 High quality steel band clamps provide a complete 360 degree sealing surface. 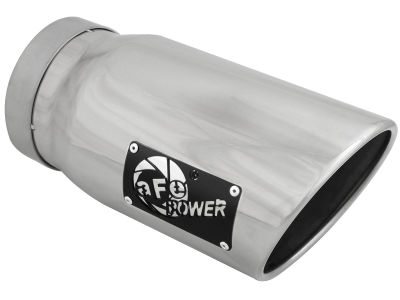 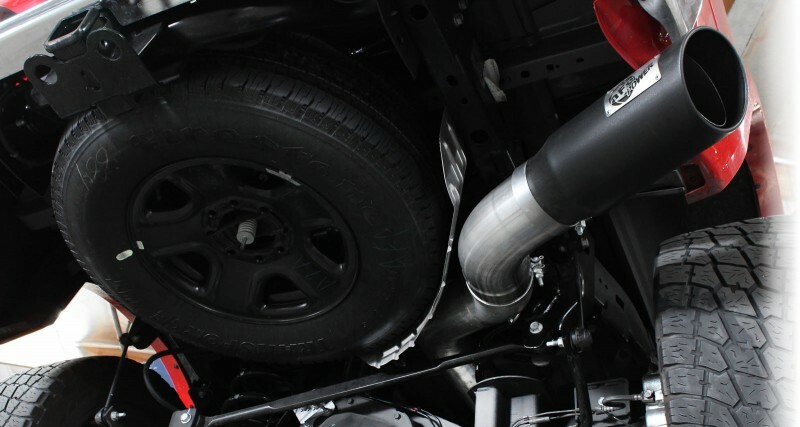 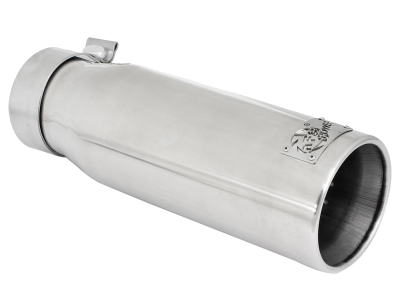 Transforms any exhaust system with a custom look.